I’ll start by saying that I have a lot of good qualities. However, starting and finishing goals and projects is not always one of my strong suits. 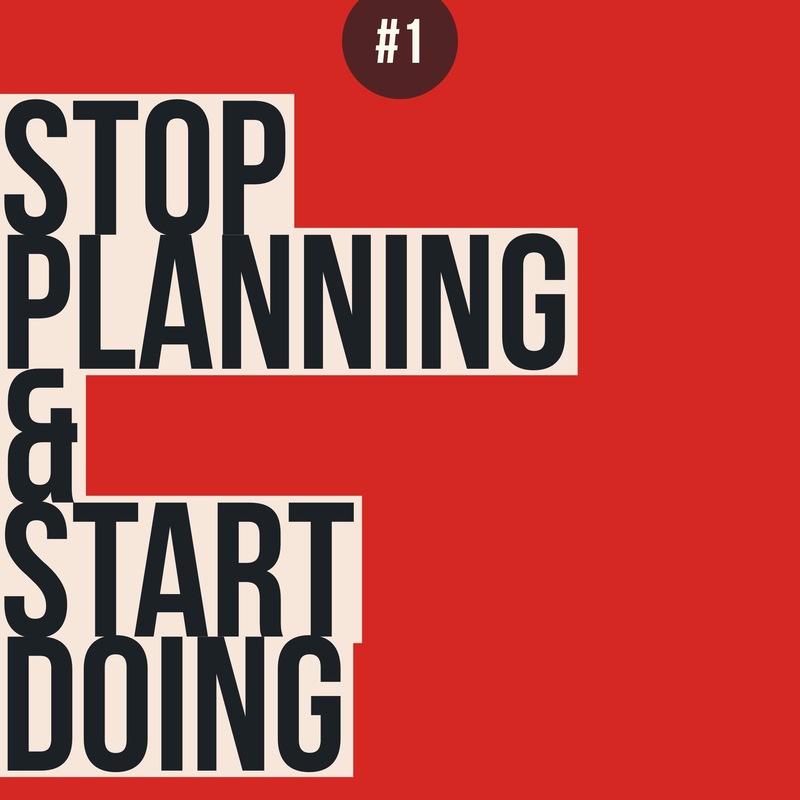 After taking this in consideration, my main goal for this year is to stop planning and start doing. So, how do I get there? In true millennial fashion, my first thought was “there’s got to be an app for that.” And there is. I googled “best goal apps” and the one I settled on was Balanced. It’s got suggestions on how to keep a balanced life. 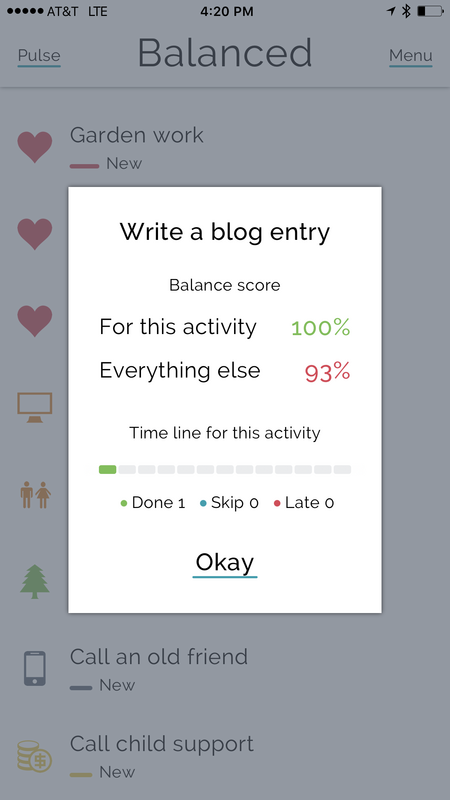 It allows you to set how many times per time period you want to do something. For example, one of my goals this year is to write 3 blogs a week. (I can try right?!?) 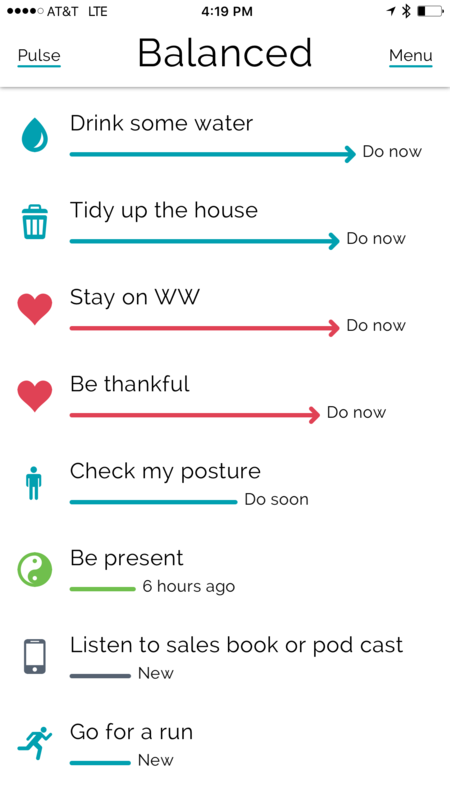 I easily track each blog post in the app and it keeps up with my progress towards my goal. Although it has suggestions, you can also add your own. For example, I added “tidy up the house” 2 times a day and “family camp out” 2 times a year. 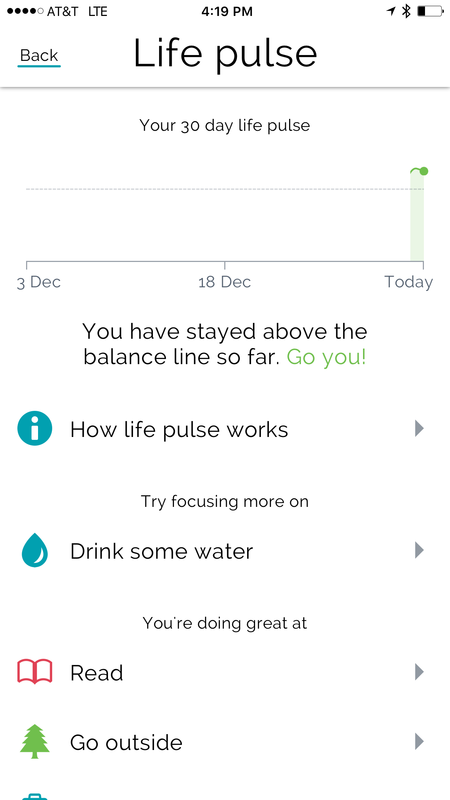 It also shows you how you are doing overall through the “Life pulse” page. You can see, so far, it’s been pretty good. Of course, I’m only 1 day in. I’ll post another blog in a month or so to let you know if I like it and maybe even how I’m progressing. Best wishes on a happy and resolution-filled 2017!